Squaw Valley and Alpine Meadows used to be rival mountains, but over time they’ve evolved into sister slopes. Now combined, the 3,600 skiable acres are hard to beat. A lot of years, the ski season doesn’t end until May in Tahoe and when it does finally wrap up, the hiking and biking terrain is equally as endless. 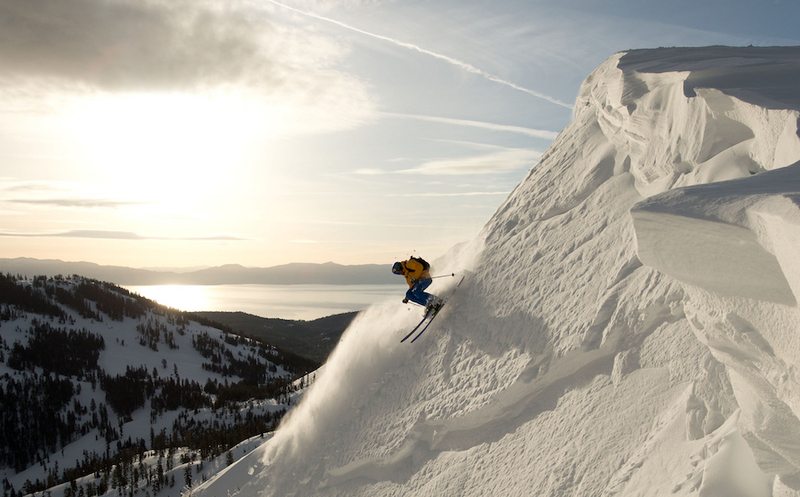 Lodging: Stay slopeside at the Village at Squaw Valley for easy access to some of the best runs in the country. Getting There: Fly into Reno-Tahoe International Airport, just over 40 miles from the resort. Or, a two-and-a-half-hour drive from Sacramento. Don’t Miss: Top expert terrain, including that off the KT-22 lift. There you’ll be deep in black diamond territory, surrounded by chutes, moguls, cliffs and more. It’s a guaranteed adrenaline rush for all who dare to venture there. Hurry Up! Get there this season and catch top-notch musicians at the annual Winter Wondergrass Music Festival in Tahoe March 31 through April 2, 2017. Get your tickets now!